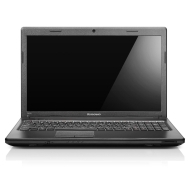 alaTest has collected and analyzed 314 reviews of Lenovo G575 4383. The average rating for this product is 4.1/5, compared to an average rating of 4.1/5 for other products in the same category for all reviews. Opinions about the battery and portability are generally positive. The screen and usability also get good feedback, but there are some mixed opinions about the sound and reliability. Some have doubts about the touchpad. We analyzed user and expert ratings, product age and more factors. Compared to other products in the same category the Lenovo G575 4383 is awarded an overall alaScore™ of 83/100 = Very good quality. Sturdy, Easy to use, Good value for money. The laptop is gorgeous. Beautiful ergonomic design, and very very good value for money. Definitely recommended! to many useless programs for the ordinary user. Having to uninstall Kaspersky AV before installing the bought version. Just a poorly thought out process, really. difficulty with installing appropriate drivers for bluetooth and wi-fi. Solidly built machine with reasonable features for the money. Compared to what I had before, very quick and efficient. Just a good size and suits me just fine. Good keyboard.